It’s been 25 weeks since I started this blog. For those of you who’ve been reading since the beginning, thank you! And yes, I know it’s not officially six months until next week but happy anniversary! For any of you who think you’d love to write, but worry it’s too late to start now, I’d like to introduce you to Susan Cohen. Susan is an amazing woman, a true inspiration, and she didn’t start writing poetry in a dedicated way until her career as a journalist was winding down. I first met Susan at the Tomales Bay Writers Workshop a number of years ago. We were in Mark Doty’s group on “crossing genres”. I had always been envious of writers who could write more than poetry. I wanted to learn the “secret”. Susan told us all that she was a journalist. Wow! A journalist writes facts. A poet writes their heart. How do those skills learn to cohabit? Susan grew up writing poetry, as I imagine a lot of us did. When she was 17, she was rejected from the first workshop she applied to. She thought that meant she had no talent, and didn’t write another poem for almost thirty years. (I totally get it. There are workshops I STILL won’t apply to because I know they’ll reject me. It’s ego. It’s chestpounding. I know there’s criteria, and rules and who knows what but I still think it’s terrible. This woman was robbed of thirty years of writing poetry and I think that’s wrong! If that’s happened to you, don’t believe it. You’re older now. Get back up on that horse—horses can be very poetic). Fast-forward twenty years or so, take a breath, sit down, and get ready to be awed by a portion of Susan’s CV (like a bio but with more things included). She is kind, generous, funny, a good literary citizen and worthy of all the honors she’s received. If you think it’s too late to do whatever you want to do, well it might be too late to become a brain surgeon, but it’s never too late to learn, improve, and keep plugging away at your craft. So don’t be scared, don’t wait any longer, and don’t give up. You can do it! 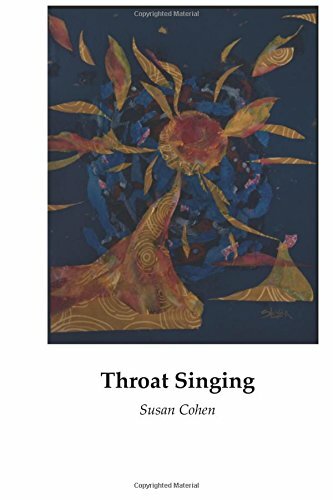 Susan Cohen is the author of two poetry chapbooks, a non-fiction book, and two full-length collections of poems: Throat Singing, and A Different Wakeful Animal. 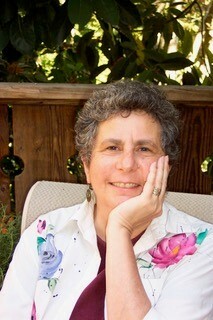 She was a newspaper reporter, professor at the University of California Graduate School of Journalism, and contributing writer to the Washington Post Magazine before receiving a John S. Knight Fellowship at Stanford University in 1998-9, where she divided her time between studying poetry and bioethics. Since then, she's won awards from the Fund for Investigative Journalism and the National Association of Science Writers, as well as poetry honors that include the Acorn-Rukeyser Chapbook Award, New Millennium Writings Best Poem, Rita Dove Poetry Award from the Center for Women Writers, Anderbo Poetry Prize, Literal Latte Poetry Prize, the Milton Kessler Memorial Poetry Prize from Harpur Palate, and the David Martinson-Meadowhawk Prize from Red Dragonfly Press. She earned an MFA from Pacific University and lives in Berkeley. www.susancohen-writer.com. Tuck your tusks under a pillow of dirt. Buzz into the conifers and let resin pin your wings. Trudge across a lakebed, each foot a stylus scrawling. and fire the soil with the last of your heat. Bristle, every hair an impression. may become a vestige and outlast civilizations. Shifting with continents. Trusting to earth. 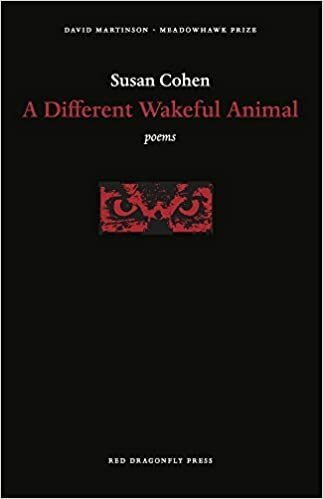 Reprinted with permission of the author from A Different Wakeful Animal (2016; Red Dragonfly Press). Originally appeared in Sow’s Ear Poetry Review. Note from Tobi: There’s a comments section at the bottom of this post. I do read your comments and I will answer them. Please think of this as a place for all of us. Ask me questions. Let me know what blog posts you’d like to see. I can’t write about it if I don’t know you want to read about it. Happy anniversary! I love this poem. It is visually articulate with an unusual, wonderful subject matter. Fossilization? Mummification? I'll wait a bit, but I think I'll go with the Fossil. Thank you so much!! I'll let Susan know to check the comments. This is actually the last poem in her book "A Different Wakeful Animal". Thank you for your thoughts on it!! Thank you so much Orewon! Please feel free to share it with anyone you'd like. I am very glad that you want to.